Ben Affleck’s image took a sharp nosedive last year during what can only be affectionately dubbed as ‘Nanny Gate’. Ben was vilified – both by the public and the media – for having an affair with his nanny right under Jennifer Garner’s nose, and the subsequent bad press from the scandal most definitely didn’t help his movie, Batman v. Superman, which debuted to terrible reviews and an underwhelming box office (underwhelming for a Batman movie, anyway). However, Ben has since rebounded quite impressively, but he has done that with Jennifer Garner by his side. She has been there every step of the way, and despite what everyone thought, Jennifer has yet to officially file for divorce from Ben. In fact, sources have been stating that Jennifer Garner actually wants to get back together with Ben Affleck, and the last few months have been somewhat of a ‘test run’ to gauge whether their bond would hold in the wake of Nannygate. Although recent stories have alleged that Jennifer has gotten sick and tired of Ben’s supposed relapse into his drinking problems, sources close to Jennifer have denied that she would be filing for divorce. The likeliest scenario is: Jennifer and Ben were giving the whole marriage thing another shot, and then Ben started to fall off the wagon again – which then led to Jennifer giving him yet another ultimatum, and Ben begging her not to dump him. Jennifer, who’s clearly a sucker for Ben’s pleas and his never-ending attempts to clean up his health and his image – agreed, which leads us to the status quo now. They are neither officially back together, nor are they officially broken apart. Only in Hollyweird, folks, only in Hollyweird. 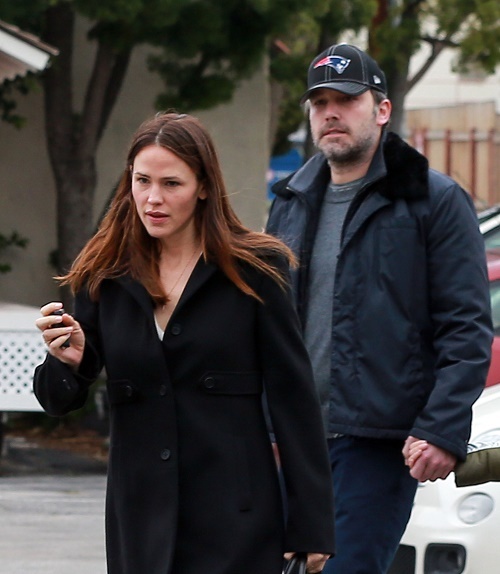 Ben Affleck clearly knows that if Jennifer Garner left him for good, there is NO WAY his image would ever recover – especially during another ‘nannygate’; except this time, there would be no loving and wholesome ex-wife to take pap strolls with him and his children, and nobody to clean up his messes. So what does he do? Beg for another chance, knowing that his career and his image depends on it. Is Ben Affleck about out of chances, or is Jennifer Garner in it for the long haul? Share your thoughts in the comments below and don’t forget to check CDL for more Ben and Jen updates and news. 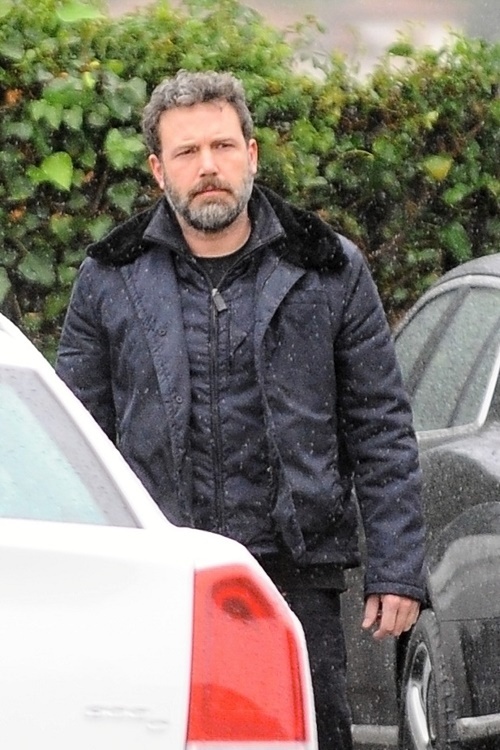 Ben Affleck Caught At Hotel With Young Blond Mystery Woman: Still Embarrassing Jennifer Garner After Split?